Plan a planet party at midnight and compare features on Jupiter and Saturn. Seven Earth-sized planets have been observed by NASA's Spitzer Space Telescope around a tiny, nearby, ultra-cool dwarf star called TRAPPIST-1. This mission was designed to last at least two-and-a-half years; 13 years later, Spitzer has operated far beyond the scope of the original mission. Sometimes light just gets in the way. A look at two technologies that block starlight to give telescopes a better view of distant Earth-like planets. When the first images from NASA's Hubble Space Telescope were too blurry, JPL scientists and engineers devised a genius fix: a camera with corrective vision. Q and Alien: What's in an Exoplanet Name? The CIBER rocket experiments have detected what appears to be an infrared glow from these stranded stars on large scales across our sky. This video shows a continually-looping infrared view of our Milky Way galaxy, as seen by NASA's Spitzer Space Telescope. This animation shows the prototype starshade, a giant structure designed to block the glare of stars so that future space telescopes can take pictures of planets. 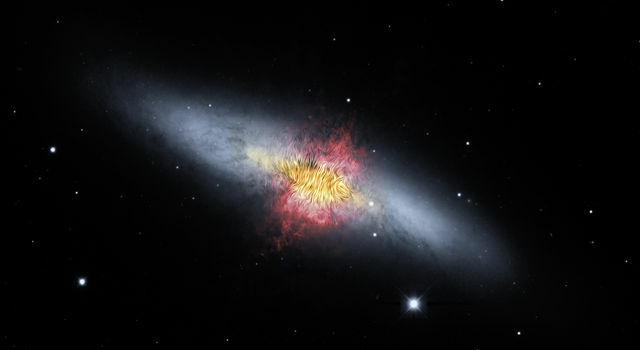 NuSTAR is showing that exploding stars slosh around before blasting apart. This 3-D computer simulation demonstrates how the supernova explosion might look. Created with the help of supercomputers, this simulation shows the formation of a massive galaxy during the first 2 billion years of the universe. This simulation shows the merging of two massive galaxies, sped up to cover 1.5 billion years of time. This artist's animation depicts an ultra-dense dead star, called a white dwarf, passing in front of a small red star. Animation illustrating scientists work to extract the oldest light in our universe from maps of the whole sky taken by the Planck mission. Animation depicting the 'life' of a photon as it travels across space and time, from the very early universe to the Planck satellite. What's Up for September 2012? Inspired by the Lunar Reconnaissance Orbiter's mission to scout the moon, the annual International Observe the Moon Night is an event that you do not want to miss. NASA's WISE telescope has discovered that there are fewer brown dwarfs in our solar neighborhood than previously thought. This artist's animation depicts 55 Cancri e as it orbits its star. 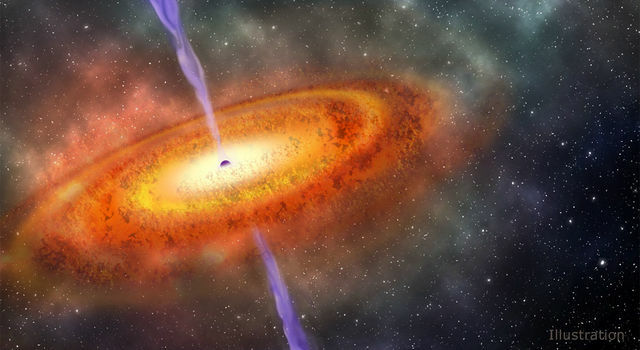 NASA's NuSTAR will use its X-ray eyes to scout for hidden black holes in the universe. NASA's newest X-ray telescope will have a lengthy structure that unfolds in space, allowing it to see high-energy objects like feeding black holes. These animations illustrate a planet circling two stars. The planet, Kepler-16b, was discovered by NASA's Kepler mission. This animation illustrates an unexpected warm spot on the surface of a gaseous exoplanet. This animation illustrates that buckyballs -- discovered in space by NASA's Spitzer Space Telescope -- closely resemble old fashioned, black-and-white soccer balls, only on much smaller scales. This artist's animation illustrates vibrating buckyballs -- spherical molecules of carbon discovered in space for the first time by NASA's Spitzer Space Telescope. This animation shows the progress of the WISE all-sky survey over time. Scientists have uncovered a rare relic from the early universe: the farthest known supermassive black hole.